The Iso-Disc filter fulfils all the Region of Peel’s requirements: very clean effluent, small footprint, easy retrofit into existing plant plus ease-of-maintenance. 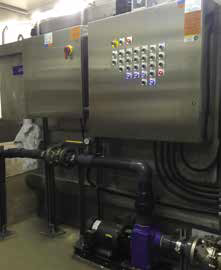 The Region of Peel chose the Alfa Laval AS-H Iso-Disc Cloth Media Filter for tertiary filtration when they extended and upgraded their municipal Inglewood Wastewater Treatment Plant in Ontario, Canada. The Iso-Disc filter technology fulfils all their requirements with regards to very clean effluent, small footprint, easy retrofit into existing plant plus ease-of-maintenance. The Village of Inglewood on the Credit River, north of Mississauga in Ontario, Canada, was increasing in size with residential development. 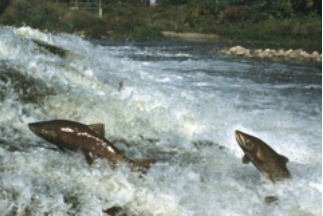 The resulting increase in wastewater could negatively impact the Credit River, a river associated with Chinook salmon angling, canoeing, kayaking, conservation areas and a Provincial Park. Credit River Chinook runs, near Mississauga’s urban centre. The local Inglewood Wastewater Treatment Plant, which has a capacity of 243 m3/day, was also facing new stricter guidelines for effluent discharge levels from the Ministry of Environment. At the same time the plant’s traditional sand filters, a commonly used technology for tertiary filtration in Ontario, had reached the end of their life time. The filters no longer provided sufficient reliability and capacity, and had become a bottleneck for expansion of the plant. The risk of discharging unfiltered effluent into the river water shed during peak flow conditions was a major concern. The old underground sequencing batch reactor (SBR) for secondary biological wastewater treatment based on activated sludge had also known better days and was not quite up to modern standards. The Region of Peel therefore decided to upgrade the Inglewood plant to improve the reliability of the wastewater treatment system by having extra capacity in the form 100% redundant equipment available to ensure that it is able to handle peak flow conditions without becoming non-compliant with Ministry guidelines. First step was to urgently solve the bottleneck problems related to the tertiary filtration in order to comply with effluent discharge levels at all times. However, sand filters require a lot of space, and space for additional equipment would come at a high premium at the plant, and it would be too expensive to replace the sand in the old filters, which were placed in a small building. The Region of Peel therefore looked into an alternative and more compact filtration solution that would also improve the overall process reliability and flexibility, and provide process redundancy for equipment. Ease-of-maintenance was also crucial for the limited space available. The Region of Peel contacted Alfa Laval Canada, who had already delivered 14 decanters including ALDEC G2 and 6 ALDRUM rotary drum thickeners for various wastewater treatment plants in the Peel Region since 2000, and who had previously worked closely with the engineering consultant. The Region of Peel found that the Alfa Laval AS-H Iso-Disc Cloth Media Filter was a unique solution for their challenges because it is very compact with a small footprint-to-flow ratio and an easy technology to operate and maintain. The cloth media polishing filter also provides the finer particle filtration technology needed to meet the strict effluent discharge requirements. 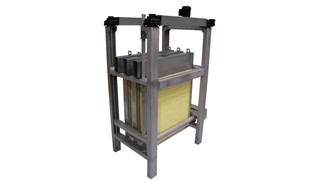 The gravity based Iso-Disc filter removes organic and inorganic pollutants such as residual suspended solids using outside-in depth filtration and continuous operation, even during backwash or maintenance events. Each filter element can be isolated and monitored individually for easy monitoring and maintenance. Two Iso-Disc filters were therefore ordered, and the first was installed in the existing Inglewood plant in early 2015. In connection with the continued upgrade of the plant and future replacement of the old sequencing batch reactor with a modern, more flexible SBR system a new building will be built to house the second Iso-Disc filter and, eventually the first filter as well. It is therefore an advantage that the Iso-Disc filter can easily be relocated once the new building is ready. The local Alfa Laval team worked closely with the Inglewood plant engineers and the engineering firm CIMA Canada to select the Alfa Laval Iso-Disc solution that would best meet the regulatory requirements and provide the desired process flexibility. During the installation Alfa Laval’s local senior service engineer worked together with the supplier of the locally produced controls for the filtration system on the configuration and integration into the plant’s overall control system. The first year of experience with the new Iso-Disc filtration technology at the Inglewood Wastewater Treatment Plant confirms that it meets the customer’s requirements: Average daily flow of 243 m3/d, a peak daily flow of 729 m3/d and peak hourly flow of 1,118 m3/d. 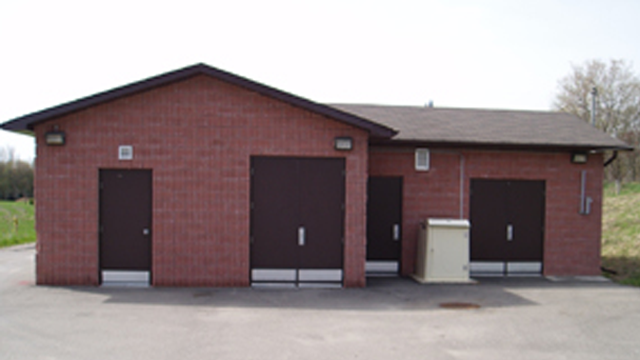 “The Iso-Disc filters are running well operationally and compliance wise, and they have reduced our maintenance significantly,” says Ashley Barrie, Supervisor, Wastewater Plant Operations, Region of Peel. The Iso-Disc filters are running well operationally and compliance wise, and they have reduced our maintenance significantly. The gravity-driven continuous Alfa Laval AS-H Iso-Disc Cloth Media filter with outside-in filtration removes residual solids e.g. <5 mg/l suspended solids and <10 mg/l BOD from wastewater to a high final effluent quality (down to 5-10 µm) suitable for reuse. Learn more about the AS-H Iso-Disc Cloth Media filter.